Art Supply Storage gives you a place to store your Paper and completed art projects. 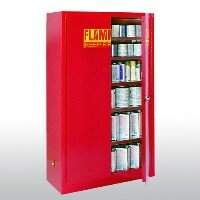 Paint Storage and ink storage include lockable metal cabinets for flammable materials. Wall-mounted art supplies storage can give your art studio plenty of room for Drawing Tables and Drying Racks. Locking art paper storage and paint storage keeps your ideas your own. Enjoy the organized look of your classroom or studio when you store art supplies in cabinets and paper drawers!